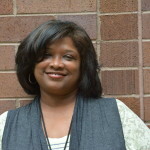 SHUJUANA LOVETT currently teaches sixth grade Science at Myra Bradwell School of Excellence. She has taught various grades and subjects during the last 22 years. Her last four years, the focus has been Science curricula content. This amazing area of study has been most rewarding for her in captivating students abilities to be critical thinkers and unlock their wonderings about the natural world.